Cynthia Ann Monroe, 67, Kokomo, passed away at 5:26 a.m. on Sunday, November 4, 2018, at St. Vincent Hospital in Kokomo. She was born September 23, 1951, in Kokomo, to Buddy Lee Cripe and Joyce Ann (Woods) Shoffner. Cynthia had worked at Village Pantry in Kokomo for 33 years. She enjoyed going to the lake with her daughter and cherished spending time with her family, especially her grandson and great-grandchildren. She is survived by her daughter, Michelle (David) Bowser, Kokomo; brother, Joseph L. Cripe, Lebanon; sister, Becky Cripe, Kokomo; grandson, Jacob Earnheart; great-grandchildren, Isaiah and Addyson; along with special nieces Tammy, and Kara, and several other nieces and nephews. She was preceded in death by her son, Warren Lee Monroe. Funeral services will be held at 2 p.m. on Friday, November 9, 2018, at Shirley & Stout Funeral Home & Crematory, 1315 W. Lincoln Rd., Kokomo, with Pastor Roy King officiating. Friends are invited to visit with the family from 12 to 2 p.m. on Friday at the funeral home. Memorial contributions may be made in Cynthia’s honor to the Kokomo Humane Society. 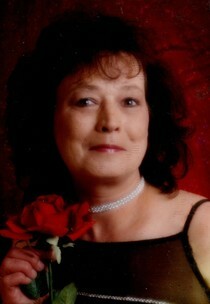 Messages of condolence may be left online at www.shirleyandstout.com.